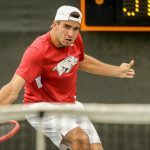 The Razorbacks will recognize a quartet of seniors prior to its 1 p.m. match on Saturday, inlcuding Branch Terrell, Pedro Dominguez Alonso, Adam Sanjurjo and Oscar Mesquida. Arkansas’ final road match of the season is slated to begin at 6 p.m. on Thursday. Oscar Mesquida held steady in the latest Oracle/ITA Men’s Singles Rankings, coming in at No. 65 this week. Last week, the Razorbacks picked up a win against Tennessee Tech in Knoxville, Tenn., but fell on the road to Tennessee and Georgia to end its four-match road trip. Alabama features the No. 25 doubles squad in the country and is led by No. 52 Mazen Osama in singles. The Tide split its matches against Florida and South Carolina last week, falling to the Gators before topping the Gamecocks in Tuscaloosa. Auburn is looking for its first conference win of the season as it will remain idle until Saturday’s after dropping a match to Florida in its last matchup. The Tigers are led by the No. 51 doubles squad in Brandon Laubser and his partner Tad Maclean. Enrique Paya continues to lead the team in wins this season, recording 20 total and 12 in dual matches. Alex Reco, Josh Howard-Tripp and Pedro Dominguez Alonso also have double digit win totals this spring, recording 11, 10 and 10 dual match wins this season, respectively. 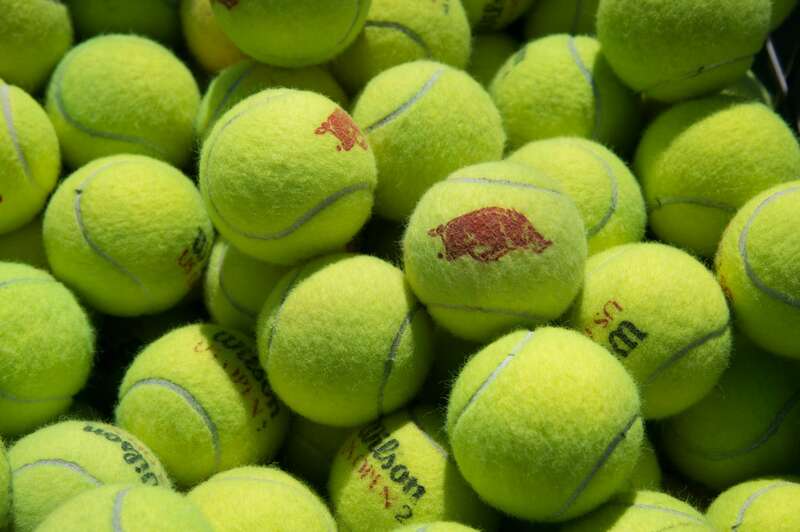 Maxim Verboven and Enrique Paya lead the Hogs in doubles this spring, with and 11-7 record, while Oscar Mesquida and Adam Sanjurjo sit at 9-9.